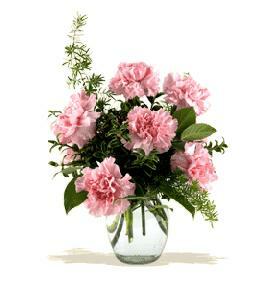 Cube may be clear glass if red is sold out or not available. 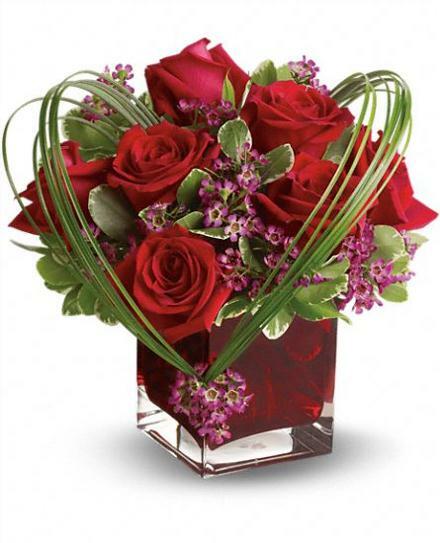 A graceful heart of bear grass... tied with purple waxflower blossoms... forms a heart that appears to float above the velvety red roses in this delightful bouquet, arranged in a cube vase. 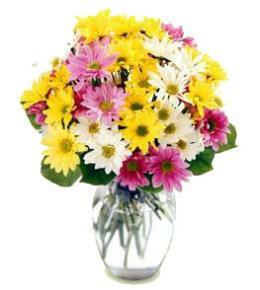 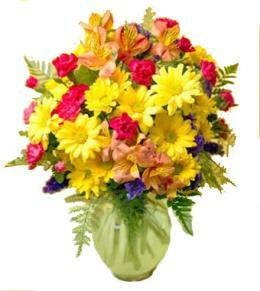 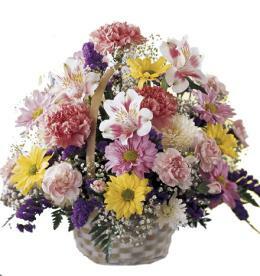 Send this beautiful floral arrangement to someone you love, and they'll think sweet thoughts about you! 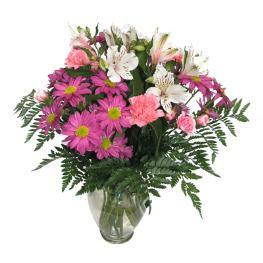 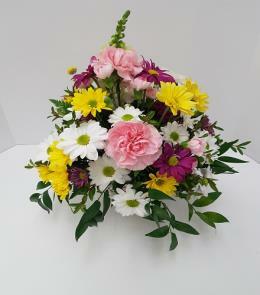 Featured Floral Selection - Sweet Thoughts Bouquet with Red Roses.